Only a very few studios in the world are capable of accommodating the largest recording gigs: full orchestra sessions, with up to 80 musicians playing in the live room all at the same time. The majority of these large recording venues are located near the centres of the international film industry, like the Sony and Fox scoring stages in Los Angeles. Other important studios for orchestral recordings include the venerable Abbey Road and AIR Lyndhurst in London — and Teldex in Berlin. Located in the rather quiet and upscale borough of Lichterfelde in the South West of the city, the studio has a rich history which began in the late 19th century. Well hidden in a green backyard, the building housing the studio is located a mere two kilometres away from the Berlin Wall, close to the southern edge of West Berlin. Built in 1890, the large brick complex served as a multi–functional cultural venue and was originally called the Lichtenberger Fests le (Lichtenberg ballrooms). It was home to a wedding hall, a restaurant and a beer garden outside, and it staged a wide range of cultural events, from fun fairs to concerts of the Berlin Philharmonic. The live area at Teldex is almost exactly the same size and shape as Abbey Road Studio One, and is likewise capable of accommodating a full orchestra. Teldex’s control room houses a Studer 980 desk with an Avid 5–MC controller. 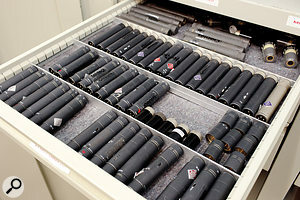 Teldex’s mic locker includes one of the largest collections of vintage Neumann mics in the world. Here an M49 is being employed as a close mic for a ’cello. 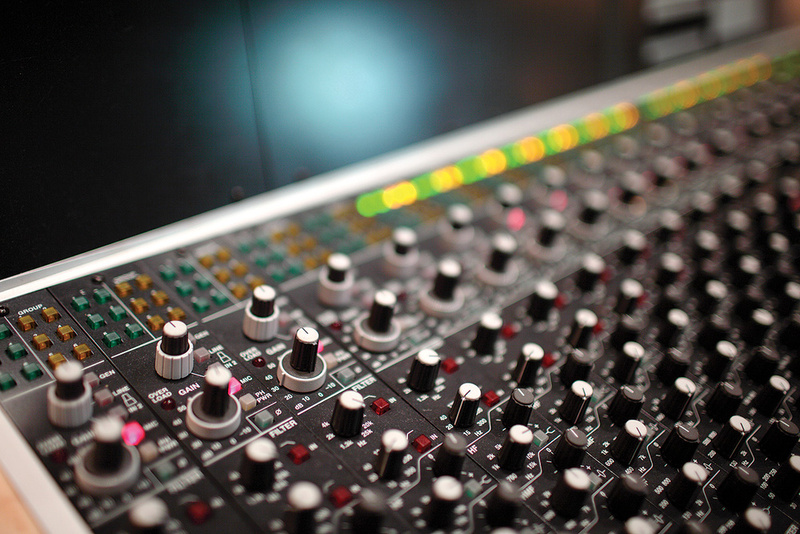 Most preamp duties are handled by the input section of the Studio 980 console. 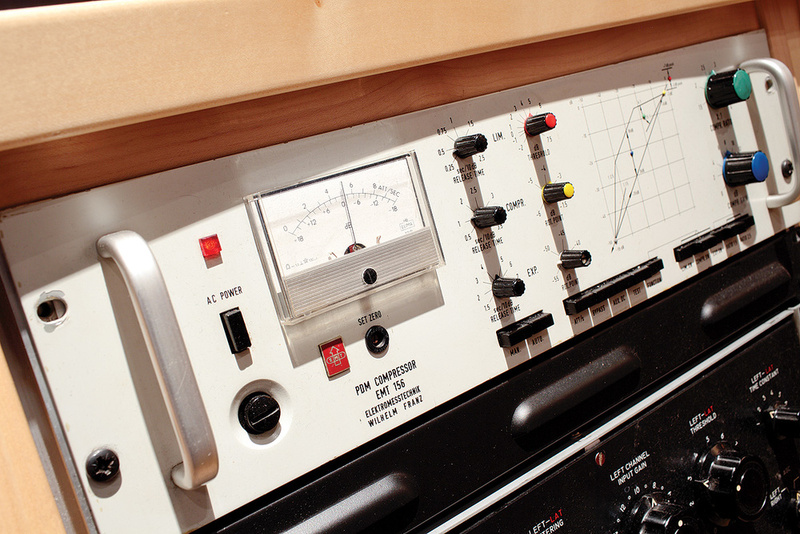 The outboard collection includes vintage units such as the ubiquitous Fairchild 670 and this EMT 156 compressor. One of the original echo chambers remains in operation today. It is equipped with a pair of Neumann KM84 microphones and a vintage Klein+Hummel OY speaker. The impressive microphone collection counts classic Neumanns literally by the dozen!Shortly after World War II, the venue was restored to use, and around 1950 Telefunken began to rent the building, making it their recording headquarters. 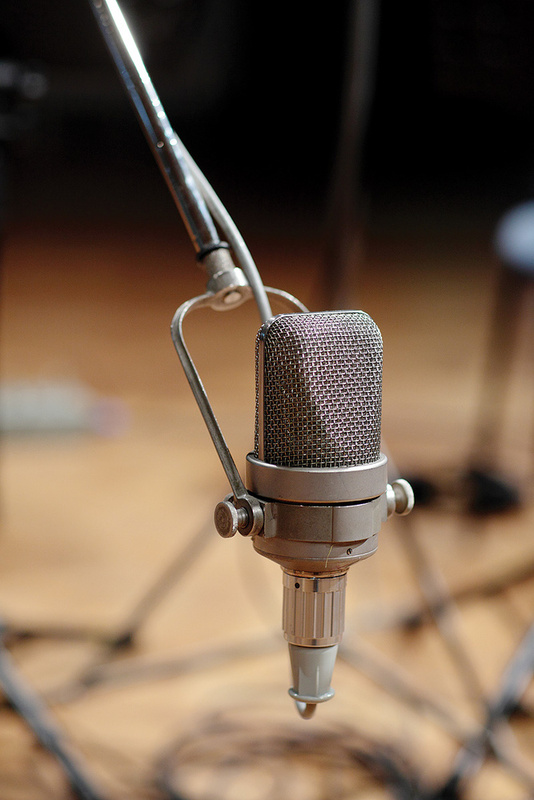 For the first few years, recording took place only during weekdays. A system of rails was installed, and the equipment was carted into the hall on trolleys, to be stowed in the basement over the weekend, when the dance bands would enter the hall again. But this was not sustainable in the long term, and from 1954, the building was used exclusively as a recording studio. It was operated by a joint venture between Telefunken and the British Decca company. Named Teldec, it served as one of the main recording venues for the record company of the same name. In this era, Hildgard Knef and Caterina Valente used to record at Teldec, and in the ’70s, German rockers Udo Lindenberg and Peter Maffay, amongst others, began to craft their productions here. Telefunken also set up a facility for equipment production in the front building: Direct Metal Mastering technology, where the music is cut straight into copper plates instead of the conventional acetate lacquer, was developed on site in the ’80s in conjunction with Neumann. 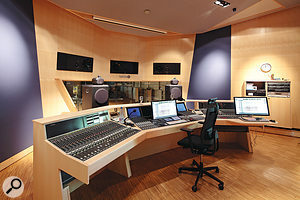 Teldec was acquired by Warner Bros in the early ’90s, and in the following years, the studio was mostly used for mixing and post–production, not so much for recording sessions. At one point there were no more than two recording gigs per month, but the highly skilled team toured the world with a mobile kit to record on location, only returning to the studio for mixing. Around the turn of the millennium Warner merged with AOL, and in early 2001, all worldwide recording facilities previously owned by Warner were closed practically at the same time. This was the big chance for three former Teldec employees, Friedemann Engelbrecht, Tobias Lehmann and Martin Sauer, who acquired the equipment, took over the lease and reopened the studio as Teldex in 2003. 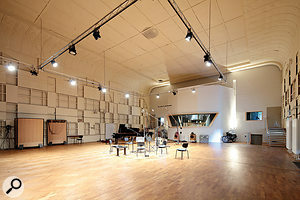 It is the largest independent recording facility in Germany, and the 455–square–metre live room, which has almost the same size and proportions as Abbey Road’s Studio One, remains in its original shape. The control room, by contrast, was completely remodelled prior to the reopening. It was home to a 72–input SSL 9000 for many years, but, according to Tobias Lehmann, maintenance eventually became too difficult, so this was replaced with a 48–input Studer 980. Configured in a quite modern layout with an Avid 5–MC controller as the centrepiece of the console, the Studer proves an ideal solution for the Teldex staff. It is accompanied by two eight–channel Millennia HV308 preamps, a couple of vintage valve–based Telefunken preamp modules and some other hand–picked outboard units, which offer plenty of high–quality input channels for the classical and film soundtrack recordings which form the lion’s share of the recording business at Teldex these days. Besides the main hall, Teldex today also operates a number of smaller studios and editing suites. 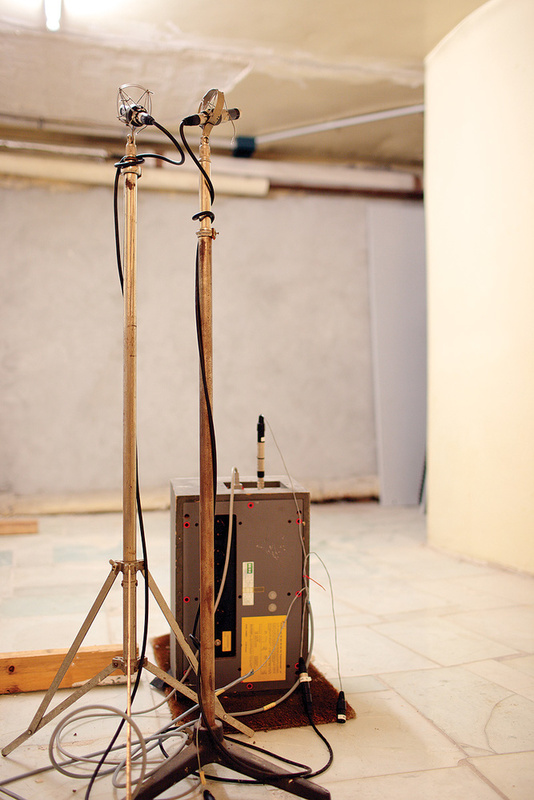 The studio still operates one of its two original echo chambers. Both were wired as mono chambers when they were built, and together they served as a luxurious dual mono/stereo chamber at one point, but the chamber that remains in use today is equipped with a mono Klein+Hummel loudspeaker and a pair of Neumann KM84 microphones. Speaking of which, the Teldex team secured the entire microphone collection of the original studio, which counts all kinds of classic Neumann microphones literally by the dozen, including numerous small–diaphragm capacitor mics such as the KM84 as well as several of each of the valve classics like the U47, M49 and M50. This is clearly one of the largest collections of vintage Neumann mics in the world! Decca engineers often modified their microphones, and a number of Teldex’s M50s were equipped with XLR connectors and FET–based output stages in the Teldec era. According to Tobias Lehmann, the sonic difference is negligible when being used as room mics, and they are much easier to set up than the valve originals. Their work in the field of classical music has earned the Teldex team a number of Grammy awards. They have worked with the Berlin, Vienna and New York Philharmonics and with conductors such as Daniel Barenboim, Nikolaus Harnoncourt and Sir Simon Rattle, to mention just a few names. Many celebrities in the field of pop and rock music have also found their way into the studio, including artists such as Nina Hagen, Roger Waters, Rammstein, Alicia Keys, Celine Dion and even Britney Spears. The musical life of Teldex today is almost as diverse as that of the Lichtenberger Fests le 100 years ago!